Today I am going to give you my 3 top shopping hacks for when you are travelling to a different city. I'm back from my European shopping trips in Milan, Barcelona and Madrid. I had an amazing time and I shopped up a storm. 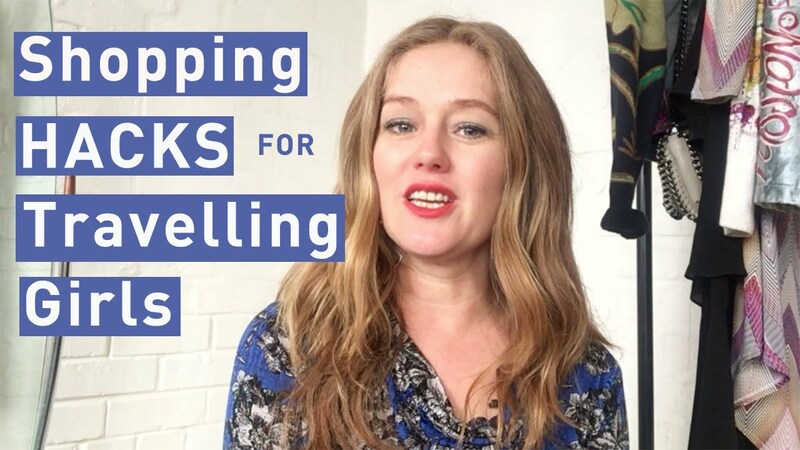 I thought I would share with you the 3 top tips that I use when I go shopping to ensure that I come home with things that I really love and I haven't completely broken the bank. Tip 1: Set a budget. This helps you to be less overwhelmed. When I arrive in a new city, I tend to get really excited on all there is to buy and see. When I set a budget, it ensures that I carefully curate the items I purchase rather than just spending spontaneously. Tip 2: Make a shopping list. This means you need to look in your closet to see what you already have. That ensures that you don't buy more of the same. Making a shopping list also narrows your focus and your brain will start looking for items that are on your list. Tip 3: Familiarise yourself with the size charts, especially if you are going to a foreign country. This is useful when you are rummaging through outlet stores where there aren't of sizes available in a style. This also helps if you don't speak the language. However, don't get worked up about the sizes. Especially in Italy. The people are small, so their sizes are small. Don't worry if you have to go up a size or two.